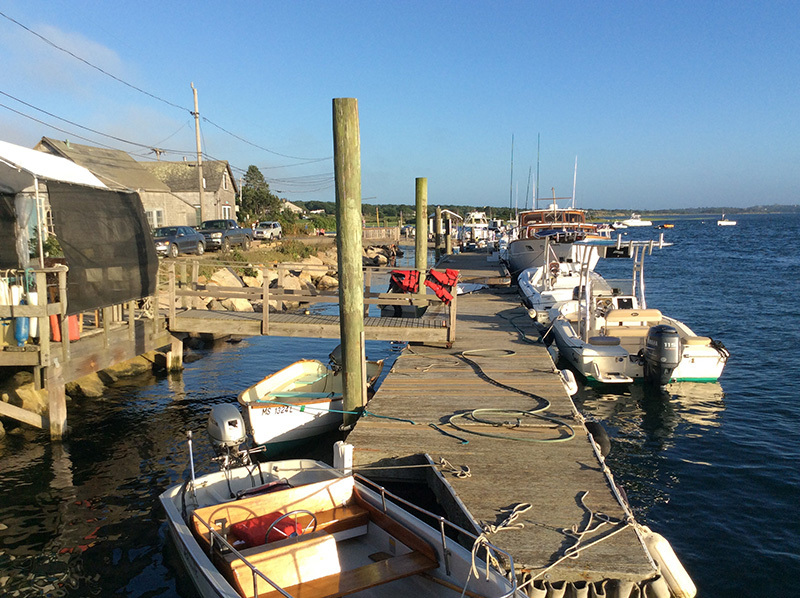 Chilmark selectmen fear mariners ‘killing each other’ over parking. The uneven border between Chilmark and Aquinnah runs along Boathouse Road in Menemsha. 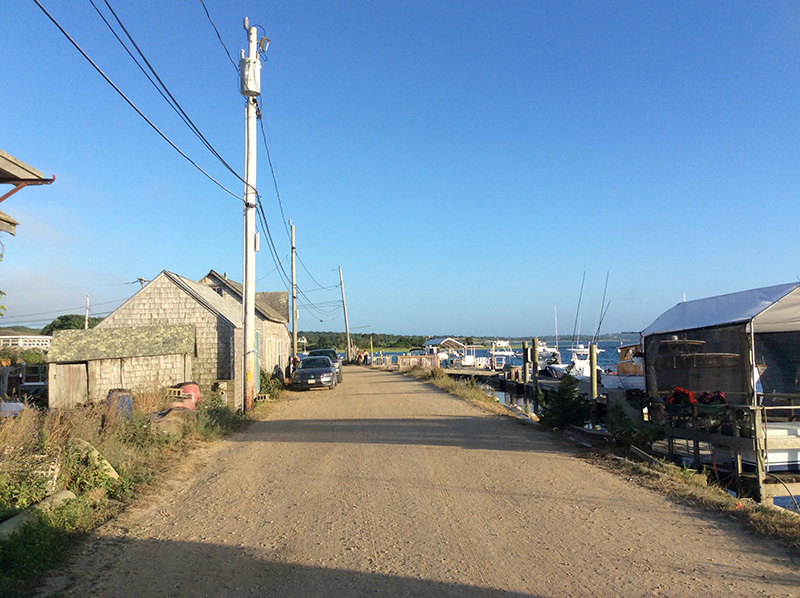 Both towns lease a number of small lots along the road for use by fishermen. Each lot sports a dock, a shack, or both. Waterfront space per lot for a boat is limited, road space for cars and trucks even more so. In an effort to keep leaseholders from Aquinnah and Chilmark from sparring over individual parking rights, the selectmen from both towns met last autumn to forge a parking agreement. Both towns walked away with an understanding they would carve undesignated leaseholder parking spaces and distribute placards to the leaseholders to differentiate them from non-leaseholders trying to park in the area illegally. The plan appears to have sunk. 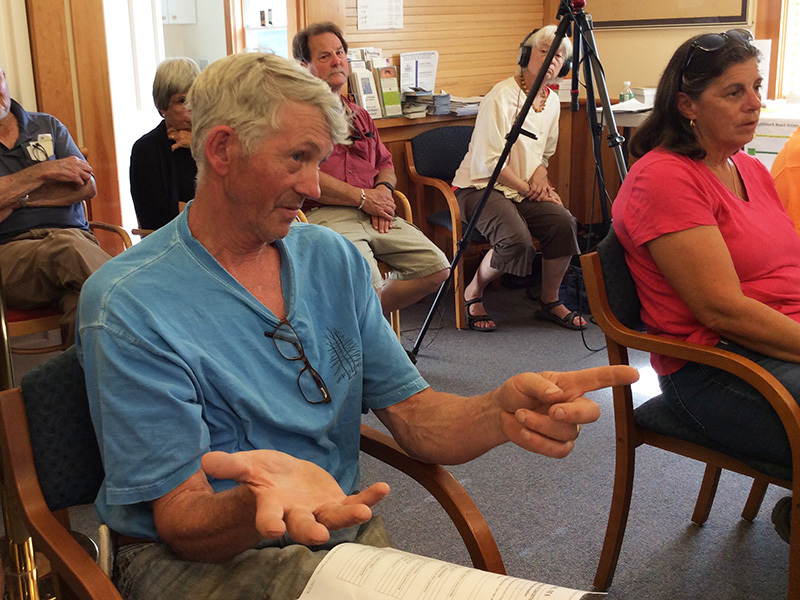 “Aquinnah assigned spaces to its leaseholders without our involvement or our agreement,” Malkin said, reiterating an accusation made at the last selectmen’s meeting. Aquinnah town administrator Jeffery Madison told The Times Chilmark has based its claim of Aquinnah-assigned spaces on a map crafted last year by Chilmark town administrator Tim Carroll for an entirely different purpose — reference points for the autumn meeting between the two boards. Madison said he doesn’t understand why the map is being attributed to him or why it is relevant. “I actually have a bigger problem with the town of Chilmark and the town of Aquinnah not going to the MOU — the memorandum of understanding — back in 1995,” Mayhew said. He said both towns should review the MOU yearly. 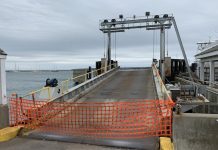 Mayhew said the commonwealth granted the land to Aquinnah and Chilmark in the MOU provided special conditions were met, such as the leaseholders limiting their activity to commercial fishing. 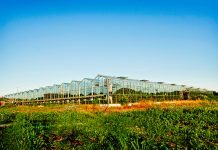 He argued not all lots are reserved for commercial fishing activity any longer, among other violations of the MOU conditions, and that the towns run the risk of the state taking back the real estate. “If they feel the lots are being used inappropriately, they can make the proper assertion in the proper venue,” Madison said. But he also said he had a great of respect for Mayhew’s opinions. Police Chief Jonathan Klaren told the selectmen his primary concern is keeping Boathouse Road open to traffic, keeping vehicles from parking on the Menemsha Channel side of the road to facilitate that. He later told The Times he could not recall any altercations on Boathouse Road regarding parking. The board agreed to send a letter to the Aquinnah selectmen reiterating the 2017 parking agreement, outlining stipulations in the MOU, and inviting Aquinnah to rejoin deliberations on the Creek Lots. 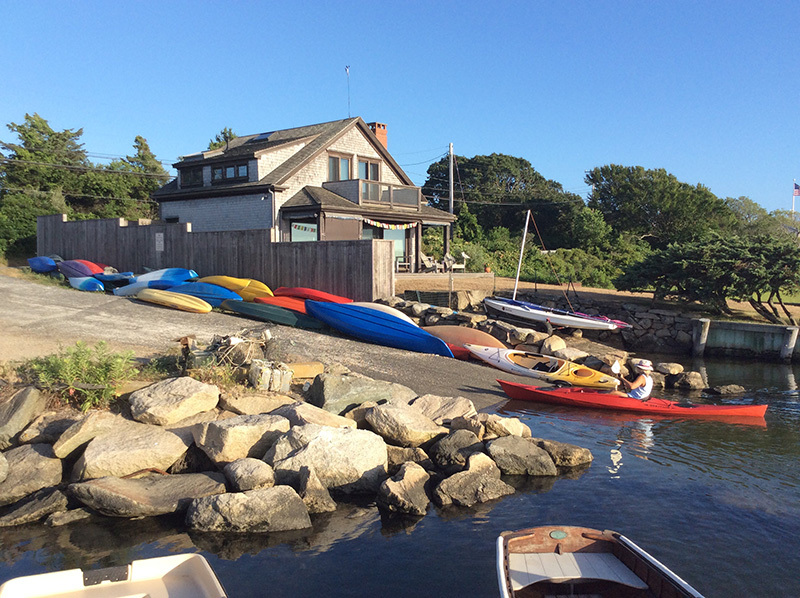 In other business, the board heard from harbor advisory committee chairman Everett Poole about the storage of kayaks and rowboats at the ramp at Quitsa Landing, counter to harbor policy. “The harbormaster was instructed to get signage and put that up there,” Malkin said. He suggested he and Poole remind harbormaster Dennis Jason to post signs. “I’ll get right on it tomorrow morning,” Poole said. “I thought you might,” Malkin said. The Times visited Quitsa Landing Tuesday evening, and found no signs related to boat storage. Kayaks in assorted colors ran along a fenceline on the ramp edge from State Road to the water. Another batch of kayaks lined the guardrail by the Hariph’s Creek Bridge. Carroll told The Times Wednesday the harbormaster was reminded to erect signs forbidding boat storage.